Our adult tennis coaching programmes cover a 10 week period with a week’s break for half-term. 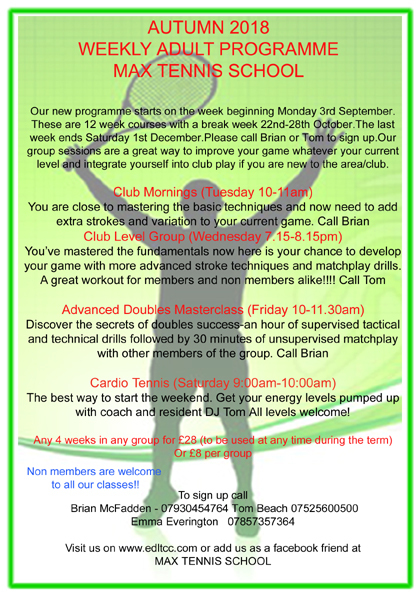 Our group tennis coaching sessions are a great way to improve your game whatever your current level and integrate yourself into club play if you are new to the area/club. Non-members are welcome too!